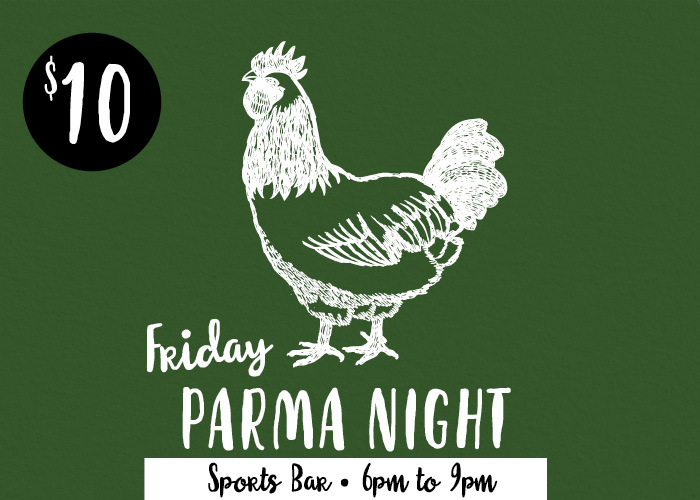 Every Friday evening members can enjoy a $10 Parma served with a side of chips and salad while watching the sports on the big screens. $10 Parmas are available from 6pm every Friday evening in the Sports Bar. Exclusive to members only.